In Europe, most of the drinking water supply is based on groundwater. The groundwater resource has therefore received much attention, and a very innovative environment for surveying and developing the resource in Germany has been established. KRIETER WATER & ENVIRONMENT has been closely involved in this innovative environment, and we therefore operate with some unique approaches that has proven to be very useful through more than 35 years of experience in unconsolidated and hard rock aquifers. Our knowledge and technology can easily be applied in groundwater resources world wide. Although the groundwater resource survey will increase the cost for the client in the first steps of establishing water supply by groundwater, this investment will often be saved after a few years of operation. 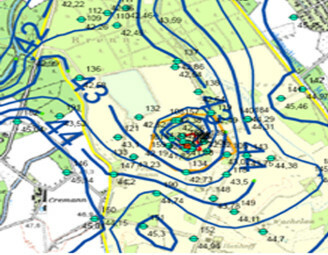 It is often seen, that without a resource survey, the well fields are established in a way that causes problems after very short period of operation. Often the sites for the wells are determined by the driller, or based on where the wells from a logistic point of view are best located. These reasons however do not ensure the long term quality of the water supply, and might even prove to be wrong after even a minor examination of the resource. In this phase of the project all existing relevant information on the groundwater resource is collected. Relevant information includes: Existing data on water supply, water chemistry, land use, hydrogeology, groundwater flow, groundwater recharge, surface waters and information from wells. After this phase, there will be a good overview of the water resource situation, and a detailed approach for the next phases can be prepared. Outcome from the preliminary phase will be a proposal for an area, where more detailed studies must be made. Since existing data on the groundwater resource in an area often will be limited, a geophysical survey will often be highly relevant. Depending on the depth to the water bearing layers, the most appropriate method will be proposed. 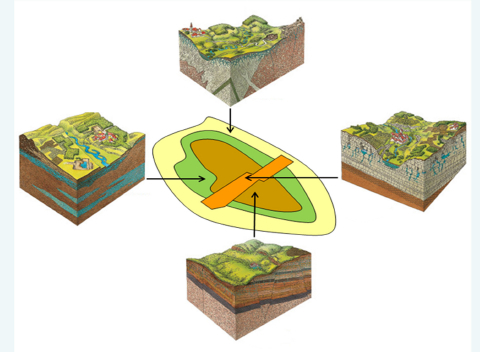 Specific methods can be used for mapping the shallower geology, which often is relevant for assessment of aquifer vulnerability with respect to fertilizers, pesticides and other pollutants. Other field activities like registering wells and measuring water-tables in wells and take supplementary samples to examine groundwater chemistry could also be relevant. Depending on the task of the project, also rain gauge-, surface water level measurements, etc. are important. Based on the information from the inception phase and the results from the field survey, sites for drilling test wells can be selected. These wells could have screens in several levels, to examine differences in water quality depending on depth. When the test wells are established, pumping tests will be conducted, to determine the hydraulic properties of the aquifers, and to examine if changes happen to the water quality after longer pumping periods. The results from the test wells will give a good picture of the current state of topics like draw down and water quality. A groundwater model is a very strong tool to predict what will happen in the longer term, when a new well field is established. In the model, different “what if” scenarios can be calculated. Questions like potential threat from salt water intrusion, affection from nearby waste disposal sites and the influence on other wells in the area can be answered with groundwater models. All results from the project are collected in a final report. The report will include recommendations on how to develop the water abstraction in the area in the future, and will also outline issues that the water supplier needs to be aware of, to ensure sustainable water abstraction and ensure long term sustainability of the water abstraction. Recommendations with respect to the water treatment can also be included. The experts in KRIETER WATER & ENVIRONMENT are available for discussion of any requirement the client might have for investigation of the resource. Depending on size, budget and level of ambition for the water supply we will prepare a proposal that fits the clients requirements.